Bridge is a People Technology Company committed to using technology to improve the productivity and rewards of people. We offer different solutions to make Work-Life Better. What is Work-Life? It’s the term we use for the integration of work and life. This year we want to take this even further by adding Bridge Guides for managing the kind of workplace that benefits us in holistic ways, even as we continue to improve on our core solutions. Let me list them below. Bridge PayDay is a Managed Outsource Payroll that combines the benefits of powerful technology and expert services in one simple, secure, and highly-affordable solution. It is an end-to-end solution that makes a usual 14-step payroll process into four simple steps. Basically, let our team do the heavy-lifting in payroll while you can focus more on strategic functions for your company. PayDay streamlines payroll operations creating more room for employees to work on what should be done. They no longer need to worry about their attendances or their payroll, because we’ve got that covered. It’s a mundane task that can take minutes away from a possibly high-impact activity. We’ve featured different clients last year that said that PayDay has affected their companies in so many ways. 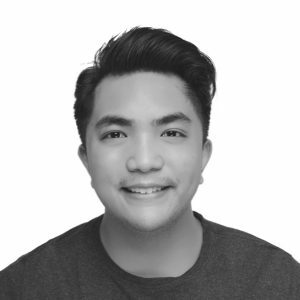 An example would be Angelo Barrameda of The Abba’s Orchard: as the managing director of the school, he wants to make sure that everything runs smoothly. PayDay was able to automate their payroll while giving them more focus on educating their amazing students. The Abba’s Orchard is just one of our client who choose PayDay to automate payroll and eliminate payroll error through a combination of technology and certified payroll partners. Want us to work on your payroll and improve productivity? Visit www.bridgepayday.ph and see what Bridge PayDay can do for your company. Bridge PayDay client also get access to Bridge Access, a completely free benefits platform that provides users easy access to financial services and other benefits—without the additional administrative headache to HR. From different merchants to shop, invest, and even loan, Access is a perfect solution to get you ready for 2019! Access users get access to discounted items and low-interest loans, the savings from these transactions can automatically be funnelled into a savings wallet, which in turn users can use to access products and services to help them progress through what we call Access Levels. Access Levels is an intelligent and rewarding way to save perfect to get things running during the start of the year. It is designed to make anyone who wants to save, grow and protect it in an easy and methodical way. Level 1: Save and protect yourself from an emergency. Level 2: Invest and grow your savings. Level 3: Insure and protect your family. With a simple idea to: save automatically, protect your savings, and make it grow. Access can give our users more options and more access. Be part of our mission to bring Access to everyone by partnering your company with us. Contact us at access@bridgesoutheast.com today. Having said that, Bridge Southeast Asia can prepare you for the rest of the year. Whether it’s fixing your payroll or giving you Access, we have the solutions to fit your company’s needs. Get in-touch with us at info@bridgesoutheast.com. So we can get started in planning your 2019.